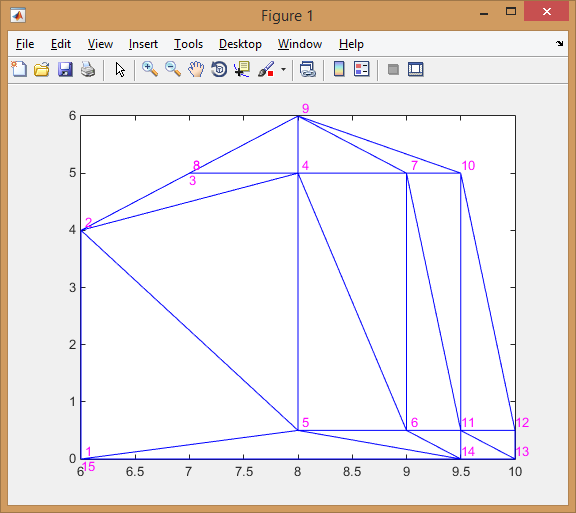 The internal area is not filled properly, and the problem seems related to polygons with holes. 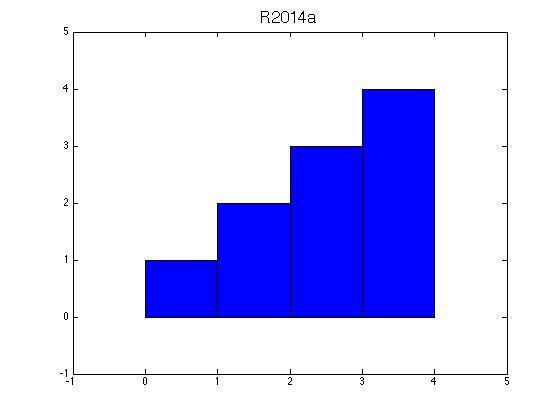 In Matlab 2014a everything was ok. 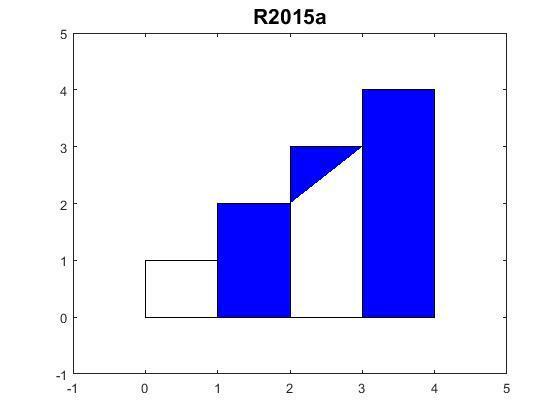 I've asked students to program their own Riemann Sum demo for years. Previous to R2014b, the following example code would work fine. Since then, it has the blank areas as discussed above. Taking out redundant vertices or adding vertices to "close the rectangles" does not help. Now the students have to use the fill command on each individual rectangle within their loops, as suggested by Image Analyst. This is unfortunate since we've been discussing "vectorization of code" in previous assignments. Any thoughts on when or if this may be fixed? Our current rule for in-out test is a purely topological test based on Jordan-curve. Crossing of a single edge represents a flip in parity. Crossing of a double overlapping edge is ignored and does not change parity – such an edge is typically a bridge-edge that connects outer and inner loops – inner ones being holes. If you have more about your intent, please contact me at hull@mathworks.com so I can note it in our internal database. 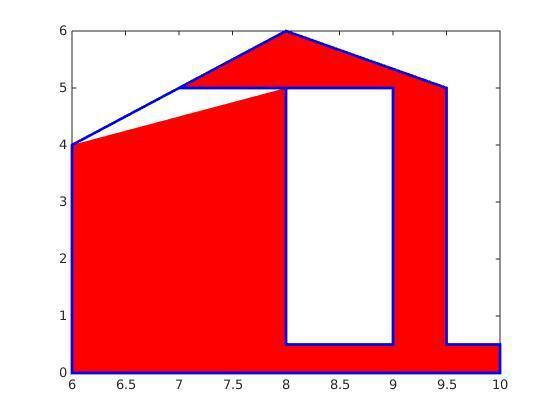 The problem is that even if there is no intersection with the edges, as in my example, the area is not filled properly: the white triangle is not bordered by any edge, and it should be filled according to Jordan curve theorem. It seems a technical issue, because moving slightly some points this blank area disappears. The offset is too small for you notice, but it should fix the bug for now.